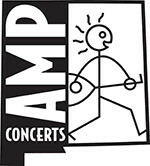 AMP Concerts - We Banjo 3 - SOLD OUT! We Banjo 3 - SOLD OUT! Tickets are $17 in advance, $22 day of show (including all service charges). They are also available by phone through Hold My Ticket at 505-886-1251. For all the innovation and invention that goes into modern music these days, it's the inspiration derived from one's roots that proves the most enduring. 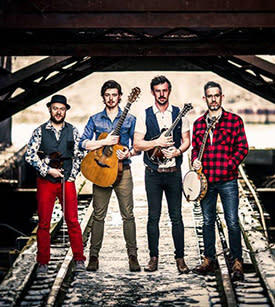 So credit Galway, Ireland's We Banjo 3 for finding common ground between old world tradition and authentic Americana by plying their banjo, fiddle, guitar and mandolin in an innovation fusion of styles that they dub "Celtgrass." The band's rousing revelry, sheer virtuosity, power, passion and purpose have made them one of the music world's most celebrated ensembles. Variously described as "astonishing," "the Gold Standard of Irish and American Roots music," and "the Irish Punch Brothers," they can claim the #1 position in Billboard's World Music charts, top honors from IMRO (the Irish Music Rights Organization), top sales numbers and the distinction of entertaining an American president, an Irish Prime Minister and members of the U.S. Congress at the annual "Friends of Ireland" luncheon on Capitol Hill. Little wonder then that We Banjo 3 is taking both sides of the Atlantic by storm. Made up of two sets of siblings—brothers Enda Scahill (tenor banjo, vocals) and Fergal Scahill (fiddle, viola, dobro, percussion, guitar, mandolin, vocals) and brothers Martin Howley (tenor banjo, mandolin, vocals) and David Howley (lead vocals, guitar)—We Banjo 3 finds a natural symmetry as well as a cohesive chemistry that’s been imbued in the band ever since they were initially drawn to one another by their common creative interests. 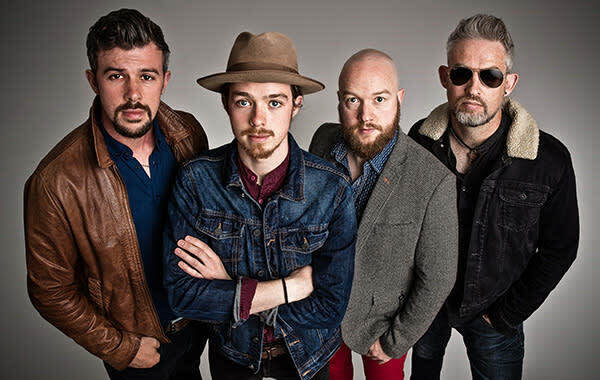 Inspired by the traditional Irish and Americana music they heard growing up, they placed three banjo players in the mix in the beginning, eventually diversifying their sound while broadening their boundaries as well.